Lenita Ingelin has been appointed as Managing Director of Paulig’s Coffee division. She is currently working as Director of Paulig Professional, which is the division’s Out-of-Home business. She will start in her new position in the beginning of April and she is stationed at the headquarters in Helsinki. 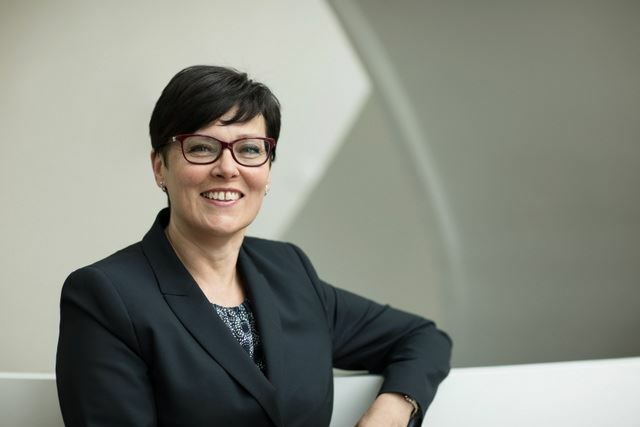 Lenita Ingelin joined Paulig in 2013 from the position as the Director of the Bake-off business area at Vaasan Group, being responsible for an international business in the Nordic countries and in the Baltics. Before this she was responsible for Unilever Foodsolutions in Finland. At Paulig Lenita has led the work to grow and to internationalise the Out-of-Home coffee business. Today the business unit has a turnover of 65 MEUR with 200 employees in Finland, Sweden, Norway and the Baltics. “We are very pleased to appoint a person who is well-acquainted with the company and the people. Lenita is a valued leader with wide-ranging experience and competence. This enables us to continue the excellent work that has been done in the division in recent years”, says Tina Andersson, acting CEO of Paulig Group. ”I’m proud and humble to take over the leadership of the Paulig’s Coffee Division – we have a great team, an iconic brand and strong passion for coffee. We actively work for the bright future of coffee; from the farmers in the countries of origin to the cup. Our aim is to create meaningful coffee moments for coffee lovers to enjoy across our home markets. For me this is a great challenge to take on”, says Lenita Ingelin. She assumes the position as Managing Director of the Paulig’s Coffee division as from the beginning of April. She will also be a member of the Paulig Group Management Team and she will report to the CEO of Paulig Group. The process of recruiting a Director for the Paulig Professional business unit will begin immediately.